In a large pot, boil water and immerse the garlic. Blanch for 1 minute in the hot water. Remove and immerse in cold water immediately. 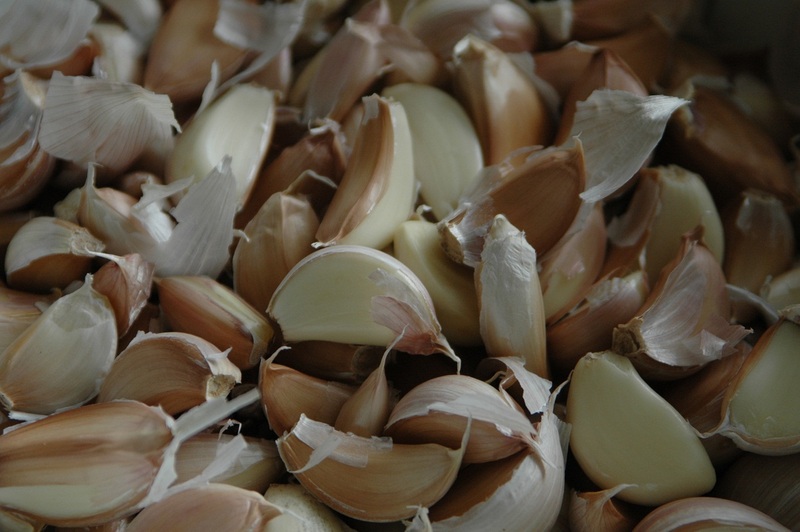 This will help get the skins off the garlic easily and will help prevent the garlic from turning green during the pickling process. 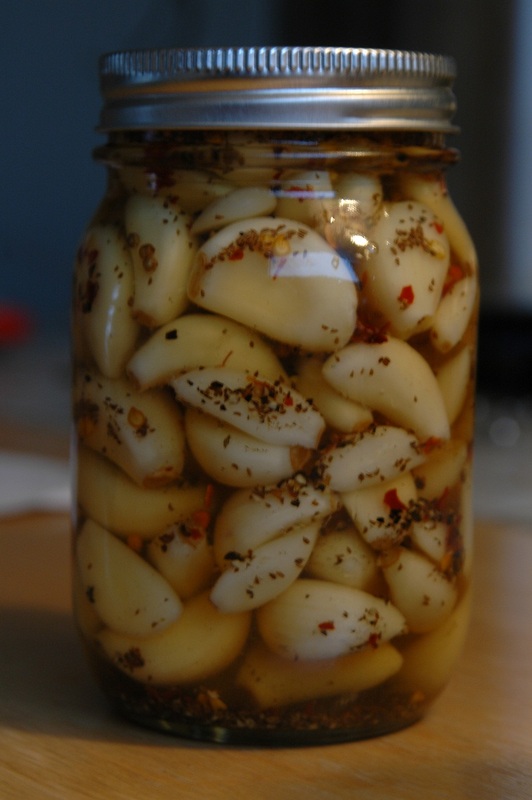 Pack the garlic into sterilized jars leaving 3/4 inch space. 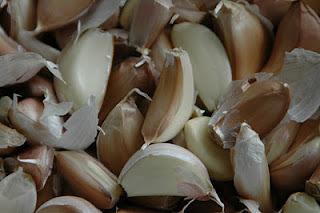 In a wide pot, combine the vinegar and salt and bring to boil. Ensure the salt has completely dissolved. Pour liquid into jars and leave 1/2 inch head space and release any trapped air bubbles. I learned something about myself today...that pickling and preserving acts almost as a form of meditation for me. I have always loved the 'idea' of meditation but when you get right down to it, I can't sit still for that long. So cross meditation off the list and replace with preserving. You see, I am currently unemployed. After 18 years working in Marketing and Social Media, recent circumstances had me packaged out of my position of Vice President, Client Services. It's ok...it truly was for the best and it has nothing to do with my recent burst of anger. I had a job interview today. Not sure it was a job I was particularly right for or even interested in, but I am all about networking, meeting new people and to be honest it seems like a great company. I personally like their product and have one myself, so I figured no harm done and I would go for the interview. I spent a couple of hours researching the organization last night, looked into their competition, took a look at what they are currently doing online, etc. I like to be prepared. Then again this morning, a little more of the same. Got up nice and early, got ready, drove into the city (which took 50 minutes) and arrived a few minutes early only to be told that the person I was meeting was "out with some 'important' people and not expected back any time soon". Just like that, eh? No phone call, no text message, no email, not even a word from the receptionist to tell me this person I was meeting had left a message that she was sorry she had to run out. Complete waste of my time and left me seething with anger. So by the time I paid the $12 in parking, drove the 50 minutes back and realized I had wasted the better part of my day on someone who so very obviously feels her time is that much more important than mine that I don't even deserve a heads up I had worked myself up into a right state. What to do...what to do. How do I get rid of this anger. I immediately felt myself walking towards the kitchen where I had a gigantic pile of fresh garlic and started smashing the bulbs on the counter top and tearing the bulbs apart. Then I plunged the poor suckers into boiling water and after a minute of tapping my toes impatiently pulled them out and plunged them into cold water. After 15 minutes of angrily pulling their skins off I felt remarkably calmer and was ready to boil the vinegar and salt. 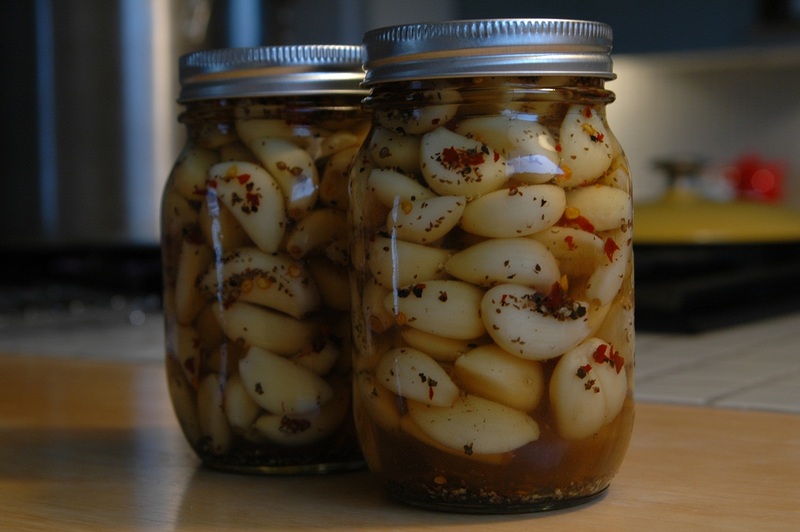 By the time I had put the garlic in their jars, got the spices ready and poured the boiling vinegar over them my heartbeat was almost back to normal. 10 minutes later, I have pulled them out of their hot water bath and damn they look good. Angry Pickled Garlic you are great therapy and I can't wait til I sink my teeth into you 6 weeks from now.